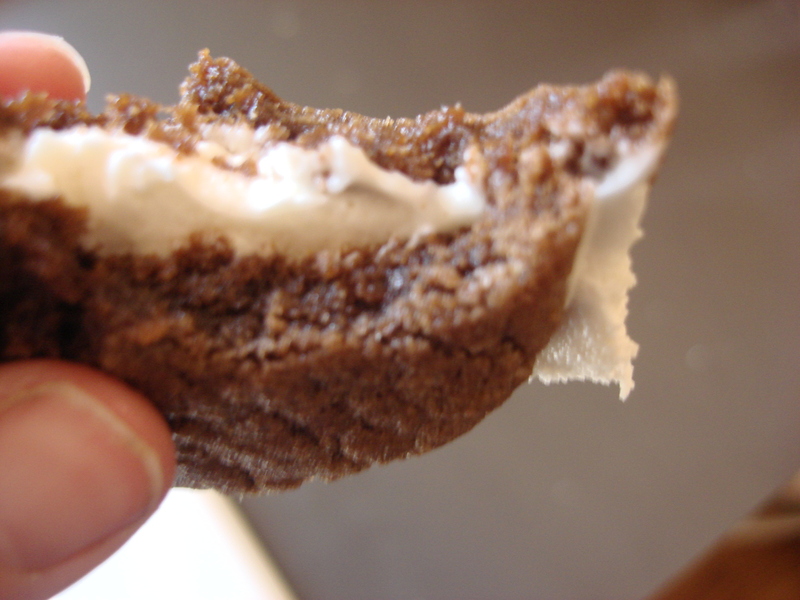 I mean… Homemade Cream Frosting Sandwiched by Chocolate Wafer Cookies. These are even better than the original. I think. 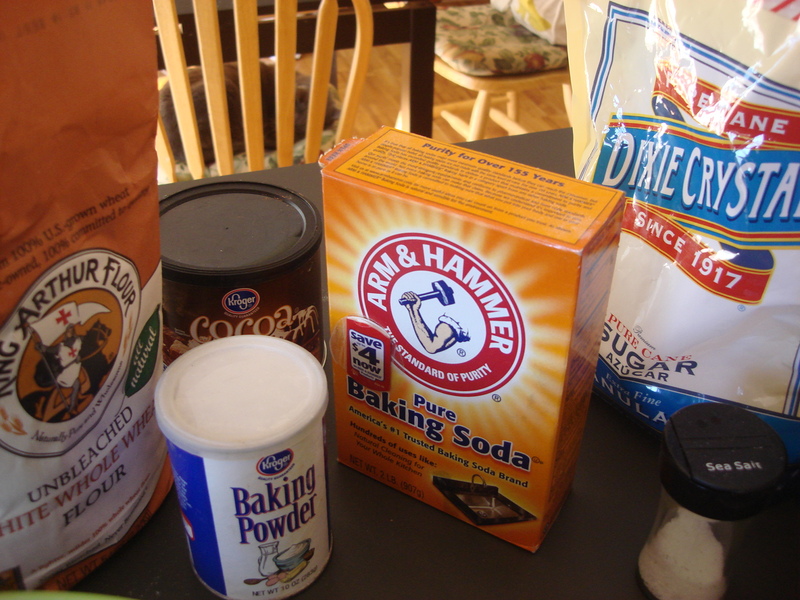 Preheat oven to 375 degrees F. Sift the flour, cocoa, baking soda, baking powder, salt, and sugar together. Add the butter; cream with an electric mixer. 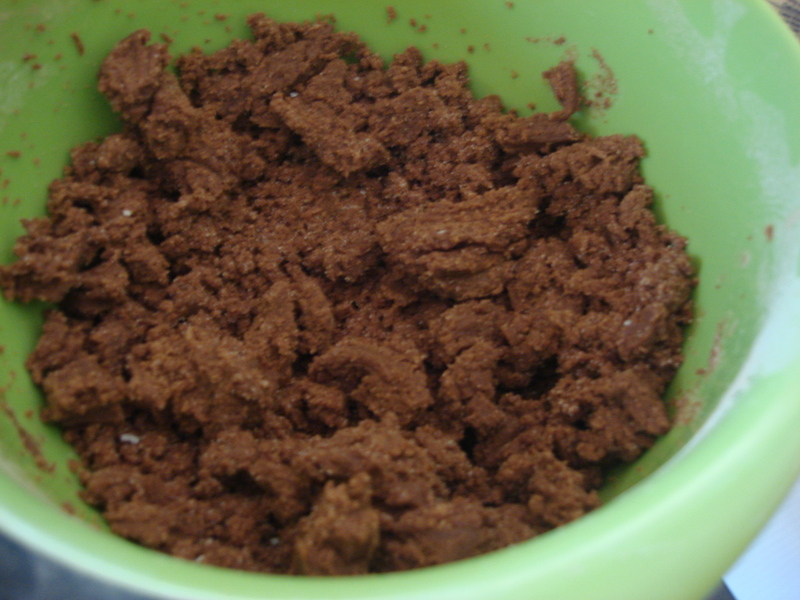 Then, add the egg; mix thoroughly. 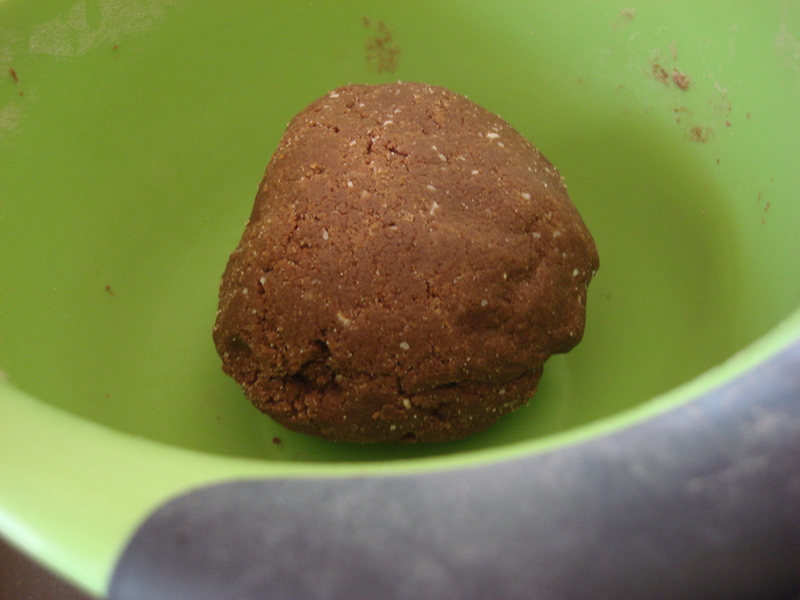 It will take a bit of time, but mix, mix, mix, until the dough comes together in a ball. Put rounded teaspoons onto a cookie sheet, give them some growing room. And flatten them just a little bit. Bake for 9 minutes on the middle rack of the oven to cook in batches. 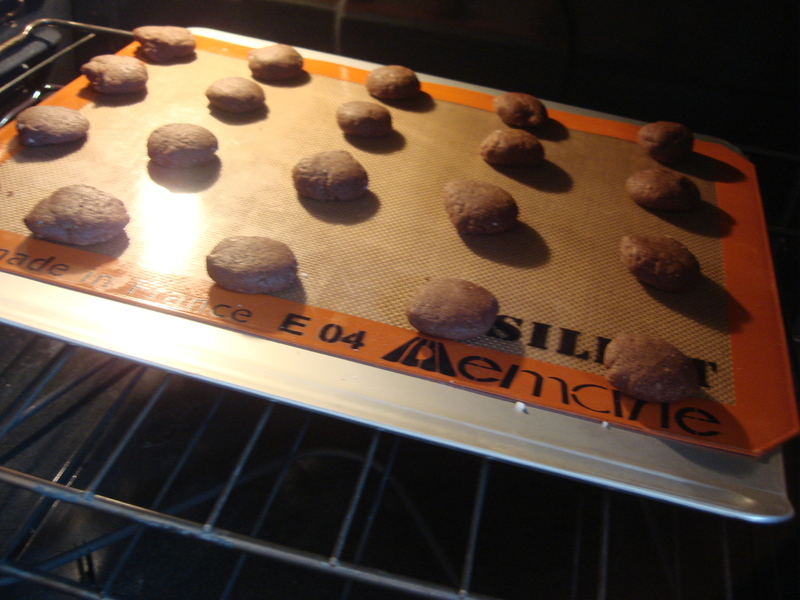 Or to cook all cookies at once, rotate halfway through baking. 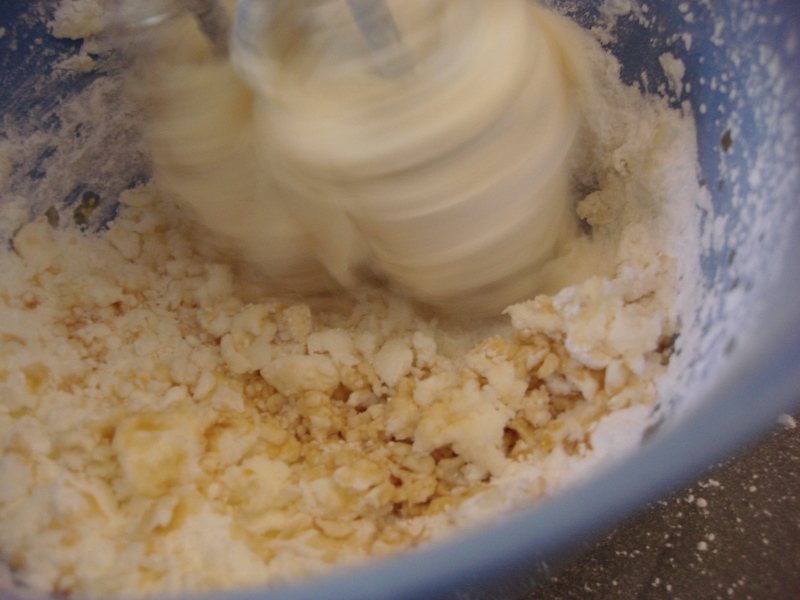 While baking, cream the butter until whipped. 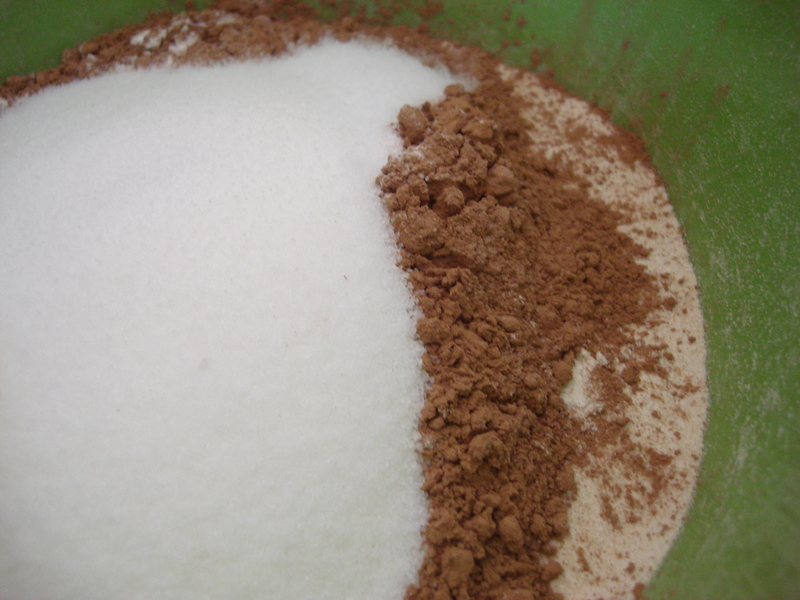 Then slowly add powdered sugar and vanilla while mixing on low. 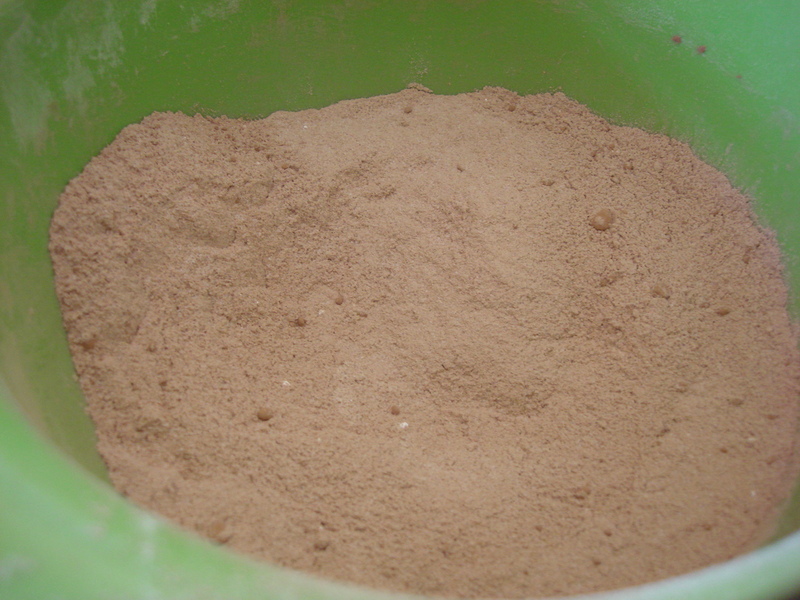 Once incorporated, mix on high for a few minutes until light and fluffy. 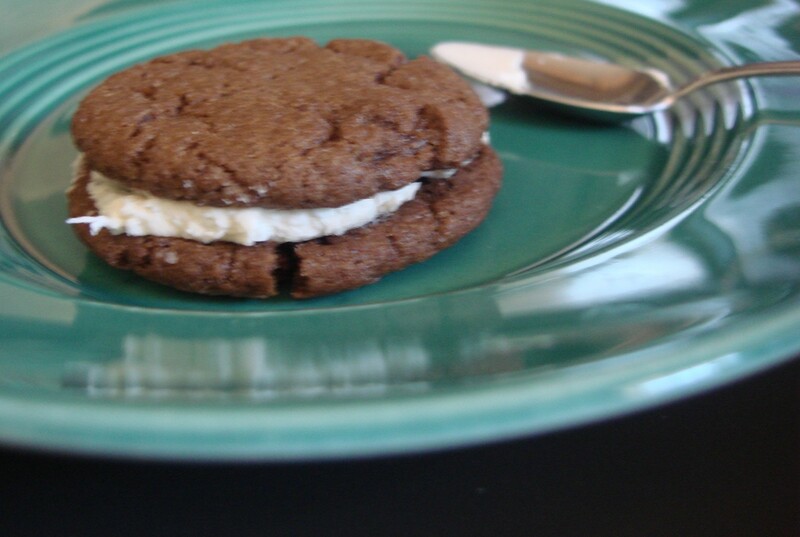 Find cookies that are nearly the same size and place 1/2 t filling on underside of one cookie, topping with another. 2) yay Silpats! they rule so much, right? Christmas present this year & I love them so much. Silpats do rule!